as well as the same closing song in the popular extended international version: several european languages, and one additional instrumental round, so you can sing it in your own language! 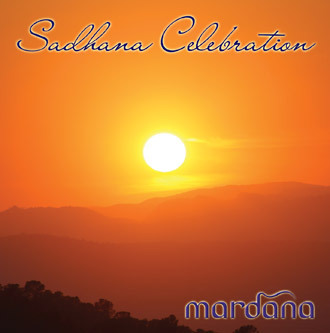 Mardana’s strength on their album Sadhana Celebration lies in the wonderful singing vocals, the catchy melodies, and a mostly natural instrumentation based on Guitars, Harmonium and Tablas. Guest musician Simrat Singhenriches some of the tracks and Sadhana Melodies with his fabulous Sitar-play. This Sadhana album is truly a Celebration in the dawning morning – a perfect, yogic start into a new day!